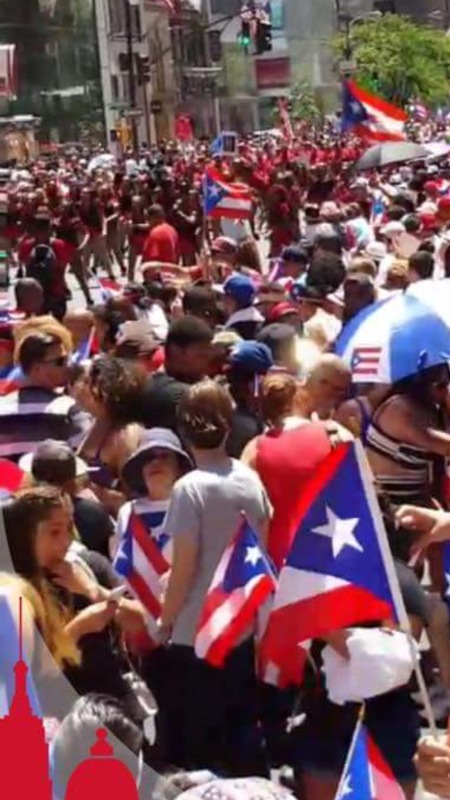 NEW YORK – With politicians working the crowds, New York 59th annual Puerto Rican marched up Fifth Avenue. It’s estimated more than 100,000 marchers participated and some 1.5 million spectators viewed the colorful proceedings. One of the most boisterous parades in NYC, the Puerto Rican Day parade is an annual celebration of Puerto Rican culture and pride.